A sea of doctors, shouting with such anger and passion that their voices crack. Thousands are still protesting outside the military institutions that for 30 years sustained the brutal regime of President Bashir. Now, the military council that deposed him is struggling to maintain an increasingly fragile grip on power, while the man who once led the country sits in prison. Today it has emerged he is in solitary confinement, locked in the very place where so many of his victims were held, tortured and killed. Ordinary people have managed to bring an entrenched and violent regime to its knees. They have done it not through force of arms, but through calm conviction, passion and a dedication to their cause that you can see in their eyes. What are conditions like in the prison? Kober prison, situated on the east bank of the Blue Nile, was built during Britain's near 60-year colonial rule of Sudan. The building, built with bricks and surrounded by towering concrete walls, has the capacity to hold hundreds of prisoners. Space in its tiny cells, however, is said to be scarce. 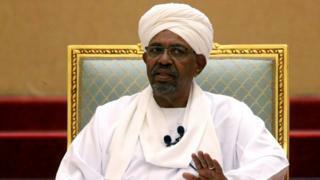 Many of the protesters and opposition leaders who took to the streets demanding Mr Bashir's resignation have been detained on its special wing for political prisoners. Sudan's feared National Intelligence and Security Service runs this wing, not the police. 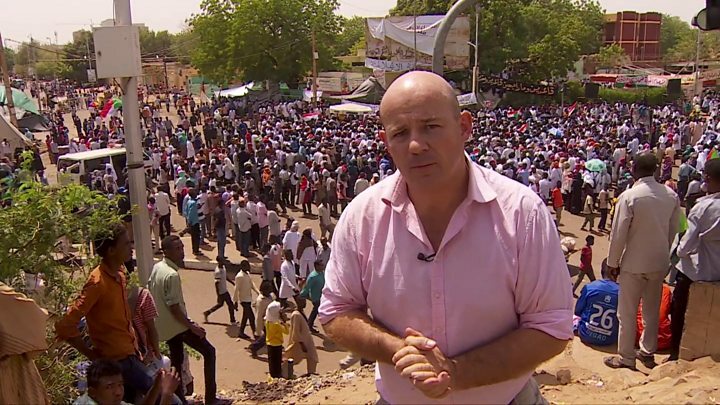 Sudan analyst Alex de Waal, who has visited the prison, told the BBC its infrastructure has not been updated since it was built. "The cells are very rudimentary, it is a very basic form of accommodation, there is no air conditioning or running water," he said. A former detainee at the prison told AFP news agency that up to seven prisoners, most of whom are petty criminals, are typically housed in each cell. "There is a bathroom in each cell but no beds - only mattresses and mosquitoes," the former inmate, who was jailed there during protests against Mr Bashir's rule in January last year, said. 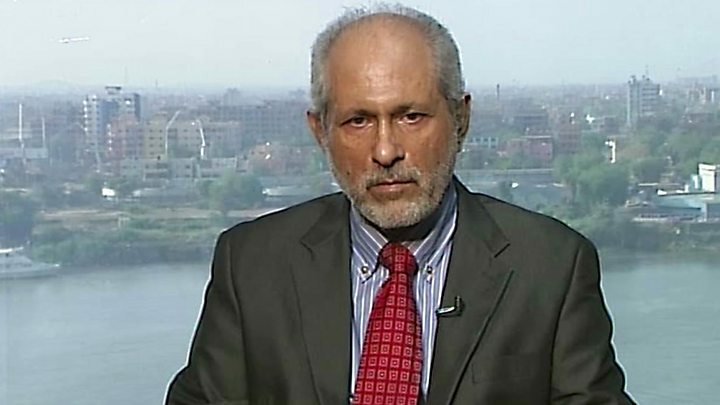 Media captionA former adviser to Mr Bashir says there is "no method to this madness"